The first signs of spring are starting to appear in the Garden. Join Botanics Bunny and some special friends on a spring quest through the Garden and see if you can find them all. Complete the trail and receive a yummy Easter treat from Mackie’s of Scotland. 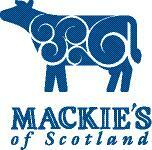 Supported by Mackies of Scotland.